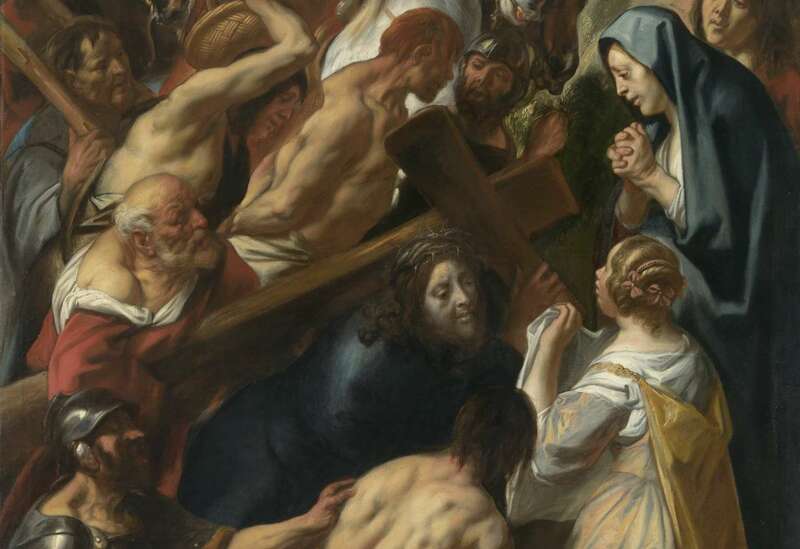 O God Almighty, who suffered death upon the cross, particularly for my sins, be with me. Holy Cross of Jesus, have pity on me. Holy Cross of Jesus, be my protector. Holy Cross of Jesus, take away all bitter pains. Holy Cross of Jesus, take away all evil. Holy Cross of Jesus, let me walk in the way of salvation. Preserve me from any temporal accidents, take away any danger of sudden death. I always adore the Holy Cross of Jesus Christ: Jesus of Nazareth crucified, have pity on me; make the spirit of evil leave me for all times. O Mother of Perpetual Succour. I come before Thy Sacred picture and with a child-like conscience invoke thine aid. Show Thyself a Mother tO me now. Have pity of me. O, dearest Mother of Perpetual Succour, for the love Thou bearest to Jesus and in honour of His Sacred Wounds, help me in this my necessity..
O Loving Mother, I leave all to thee in the Name of the Father. I leave all to thee in the Name of the Son. I leave all to thee in the Name of the Holy Spirit. Our Lady of Perpetual Succour, pray for us. Next PostI received ashes on Ash Wednesday, but my two-year-old son did not. Instead he was given a blessing. Is this a new practice?